Scientists are working on new techniques to better simulate precipitation, one of the most difficult climate elements to represent in a climate model. Enlarge Image. Results: Not all precipitation is created equal. Using a unique uncertainty quantification (UQ) technique, scientists at Pacific Northwest National Laboratory, Scripps Institution of Oceanography, and Nanjing University calibrated the ratio between showery and stormy rain for simulations in a popular atmospheric model. Although current model results depict total precipitation fairly well, the details of precipitation type or origin does not compare well to real-life observations. The team, led by PNNL's Dr. Yun Qian, tested the sensitivity of precipitation and atmospheric circulation to several key variables used in the model. The new model results matched observations in both cases. Why It Matters: Precipitation is one of the most difficult climate elements to represent in a computer model. It is variable and hard to predict. 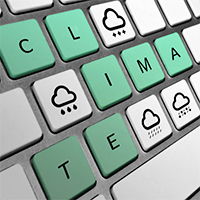 Having the computational confidence to predict future climate scenarios based on accurate modeling of the present state is crucial. Climate scientists are working with computational researchers to solve this issue with a modeling technique called uncertainty quantification, or UQ (see sidebar Uncertainty Quantification). 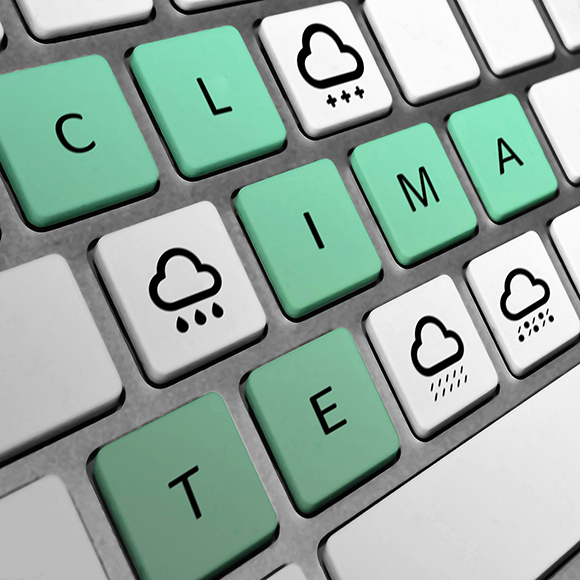 UQ can characterize, define and reduce the amount of uncertainty that may exist in a model, the data and the computation of complex climate variables. Reducing the uncertainty is critical to understanding how humans impact the global water and energy cycles now, and in the future. Methods: The Community Atmospheric Model (CAM5) is the atmospheric component of the Community Earth System Model (CESM). The research team's objective was to investigate why model results, when separated by convective and stratiform precipitation, are very different from observational data, though total precipitation is reasonably simulated. This disparity results in the model simulating too much convective rain compared to measurements. They postulated that the more reasonable total precipitation simulations may be due to compensating errors from several processes that are not correctly represented in the model. It is critical to calibrate the parameterizations and ensure each individual process in the climate model is accurate because the current state does not assure a reliable prediction for future climate scenarios. The team used a stochastic importance-sampling approach to calibrate parameters in the CAM5 deep convection calculation. Their method, called the Simulated Stochastic Approximation Annealing algorithm, takes advantage of two techniques allowing the algorithm to efficiently arrive at optimal results. For the first time, the team was able to combine precipitation rates and types from two observational sources to calculate convective precipitation ratios and compare them with simulations in CAM5. They also examined the sensitivity of precipitation and circulation to key parameters in the model to evaluate the impact of the improved simulations on the global circulation and climate modeling. What's Next? Where the current study focuses only on deep convection precipitation in CAM5, future studies will work on calibrating multiple processes at one time, such as turbulence, and shallow and deep convection. Sponsors: Funding was provided by the U.S. Department of Energy (DOE) Office of Science Earth System Modeling Program (ESM) and the Advanced Scientific Computing Research (ASCR) Applied Mathematics program. The computations were performed using the resources of the National Energy Research Scientific Computing Center (NERSC) at Lawrence Berkeley National Laboratory and PNNL's Institutional Computing (PIC). Research Team: Ben Yang, Yun Qian, Guang Lin, L. Ruby Leung, Phil J. Rasch, Sally A. McFarlane, Chun Zhao, Hailong Wang, Minghuai Wang, and Xiaohong Liu at PNNL; Guang J. Zhang at Scripps Institution of Oceanography, University of California San Diego; and Yaocun Zhang at Nanjing University, China. Reference: Yang B, Y Qian, G Lin, LR Leung, PJ Rasch, GJ Zhang, SA McFarlane, C Zhao, Y Zhang, H Wang, M Wang, and X Liu. 2013. "Uncertainty Quantification and Parameter Tuning in the CAM5 Zhang-McFarlane Convection Scheme and Impact of Improved Convection on the Global Circulation and Climate." Journal of Geophysical Research Atmospheres 118:395-415. DOI:10.1029/2012JD018213. Uncertainty is a fact of life. An invitation to dine out is fraught with it. Is the vehicle reliable? Will weather or road conditions alter driving time? Will the restaurant be open and have enough food on hand? Some of these questions can be predicted with high confidence, but not all is controllable. Getting an accurate and complete picture of the climate through modeling has different challenges. Scientists employ novel techniques to characterize and limit the uncertainties inherent in translating real world processes into computer simulations.